of cycle and refuse stores and three car parking spaces. Regularising Application for Deviations from Approved Scheme B2008/59531/FUL. 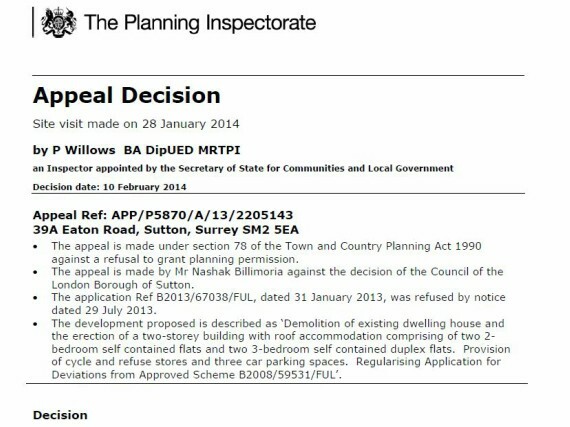 PROJECT Appeal for demolition of existing dwelling house and the erection of a two-storey building with roof accommodation comprising of two 2-bedroom self contained flats and two 3-bedroom self contained duplex flats. Provision of cycle and refuse stores and three car parking spaces. Regularising Application for Deviations from Approved Scheme B2008/59531/FUL.